Donald Trump says that the reason California's forests are on fire is that Californians don't rake their forest floors to clear potential fuel, the way the Finns do. There are a lot of things wrong with this statement, including the fact that ground cover is key to maintaining wildlife habitats. But perhaps more importantly, people in Finland don't rake their forests. The Finnish President Sauli Niinisto denies telling Trump that Finns rake their forest floors (Trump claims he learned about Finnish forest-raking from Niinisto). 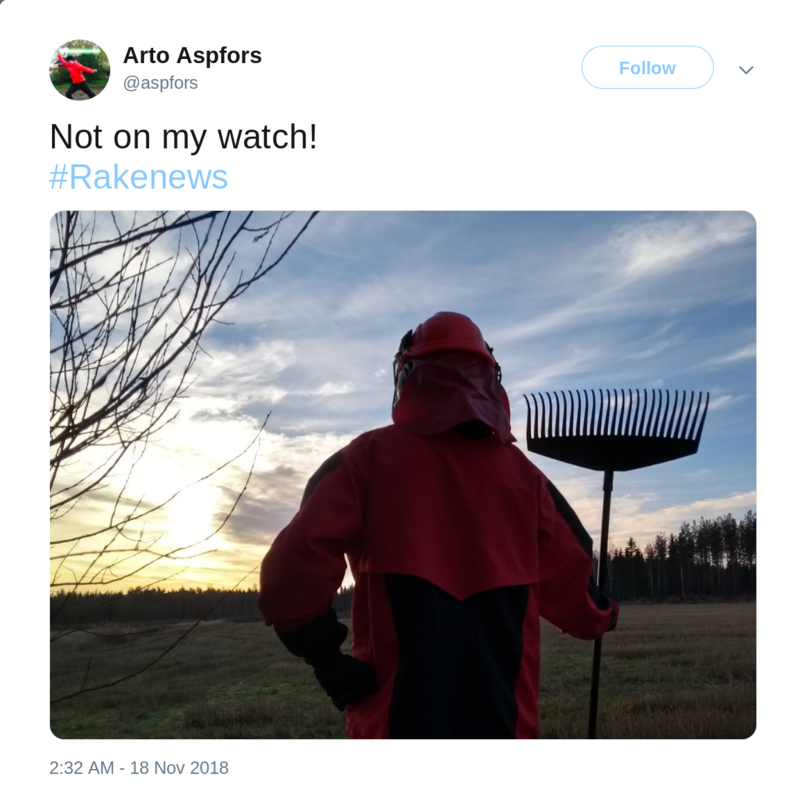 Finns are posting memes of themselves raking the forest floor, calling the whole thing "rake news" and "raking America great again." "I was with the president of Finland, and he said: 'We have a much different [sic]..., we're a forest nation.' And they spent a lot of time on raking and cleaning and doing things, and they don't have any problem," he added. But Sauli Niinisto told the Ilta-Sanomat newspaper raking had not come up when they talked. "I mentioned [to] him that Finland is a land covered by forests and we also have a good monitoring system and network," he said. The forestry director of the Finnish Forest Association, Heikki Savolainen, told the newspaper that raking was not usually a forest-management measure.